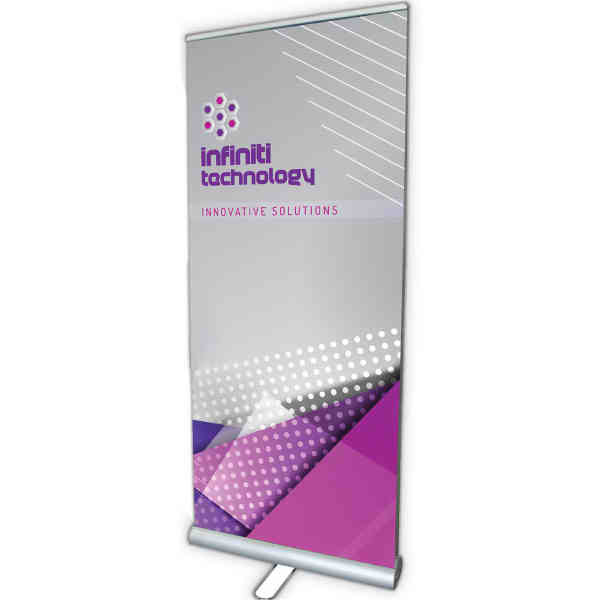 Double sided full color retractable banners installed in stand. Choose from premium dye sublimated fabric or full color curl free vinyl banner. Carry bag included. Aluminum/steel stand. 13oz. curl free vinyl banner or 6 oz. premium polyester (P). Silver Finish Stand. Size: 33.5 " x 80 "